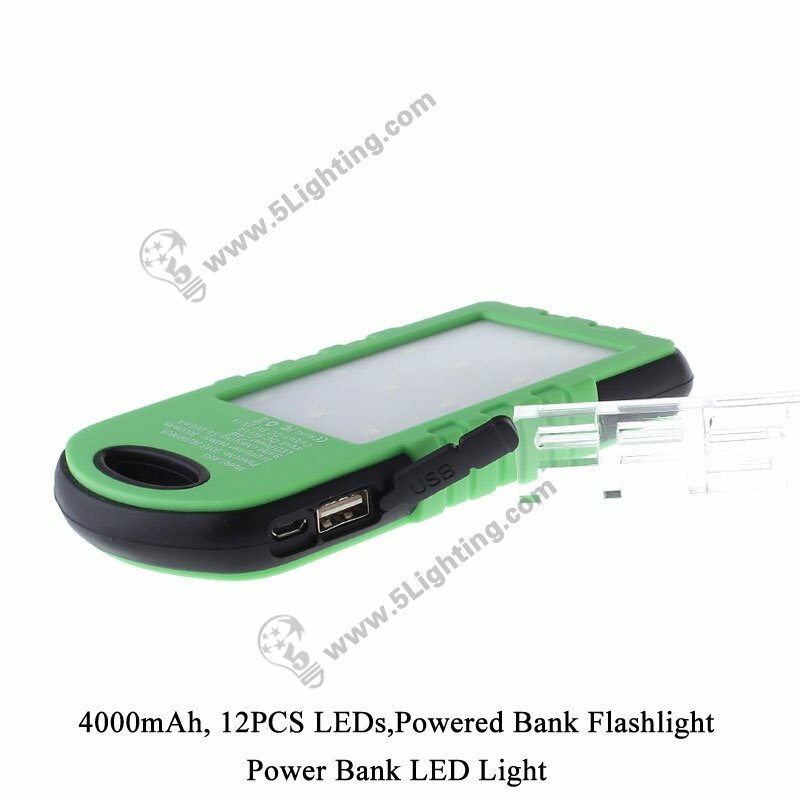 Power bank led light 5L-4000B, powered bank flashlight camping lights. 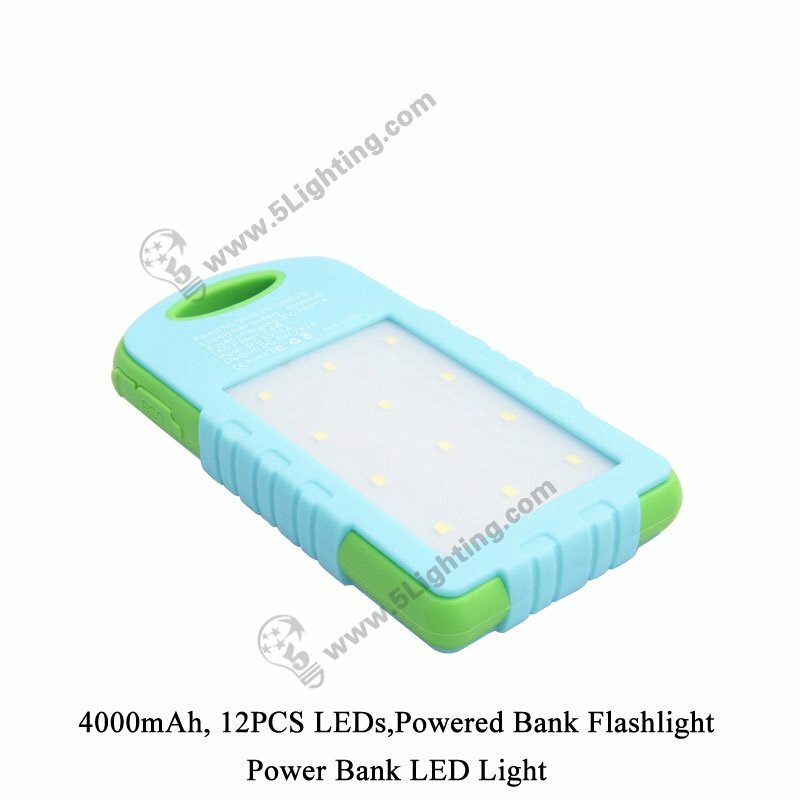 a): Wholesale power bank led light 5L-4000B is very portable to carry everywhere, it will be an ideal choice to be as a gift for lover, friends, or used as a camping light while having outdoor activities, like: camping, adventure and etc. 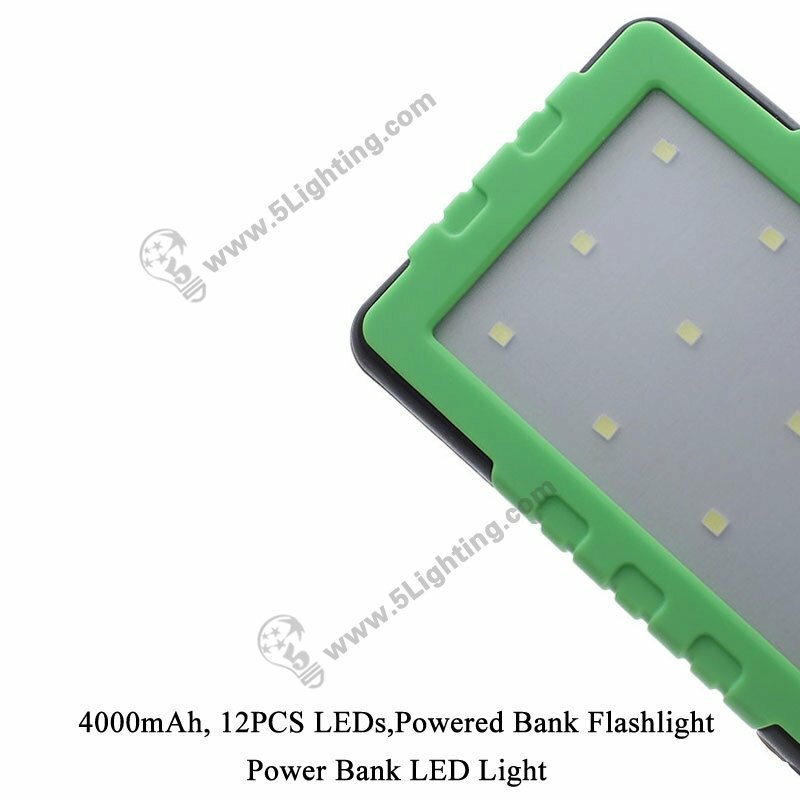 f): Unique item powered bank flashlight adopts 12 PCS LED chips as lighting source, and it emitting pure white color, super bright and convenient enough to use as flashlight at all kinds of outdoor activities. 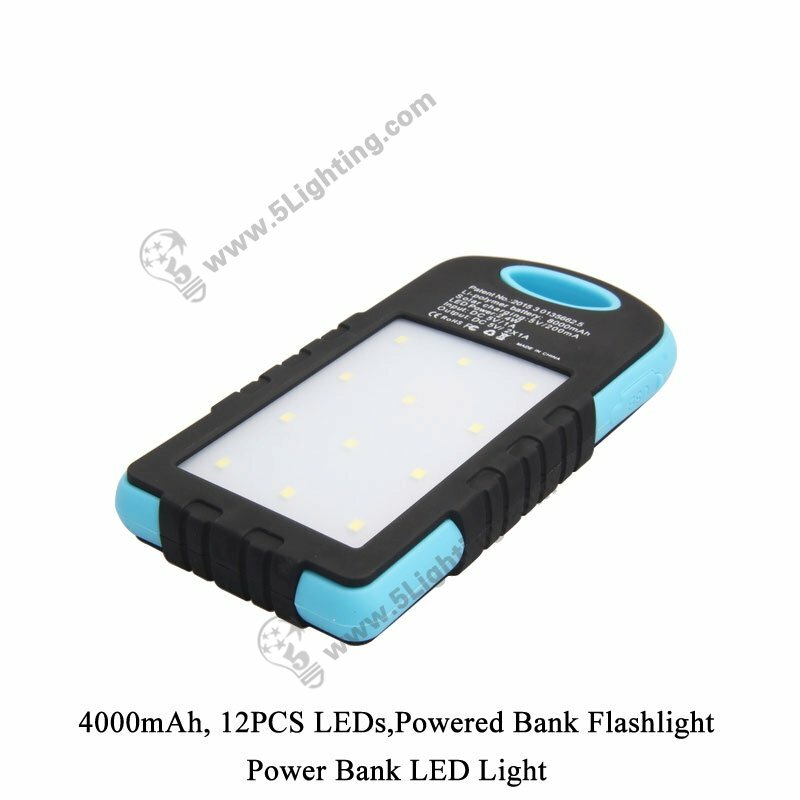 Factory direct sale power bank led light 5L-4000B using good quality polymer battery as power supply with energy saving, it supports for different kinds of 5V digital devices, and using 12PCS LEDs as lighting source, perfectly fits for outdoor camping light or as flashlight usage, and will be an ideal gift to send friends, lover etc. 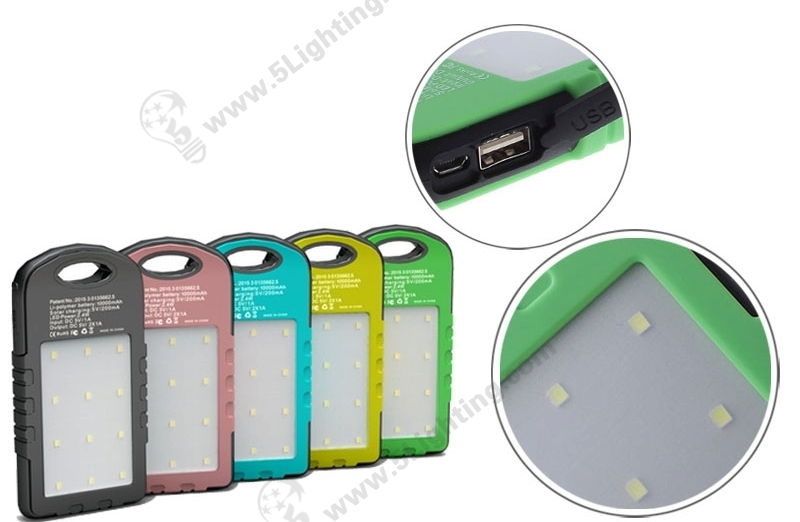 Good quality power bank led light 5L-4000B from 5 star lighting factory ! 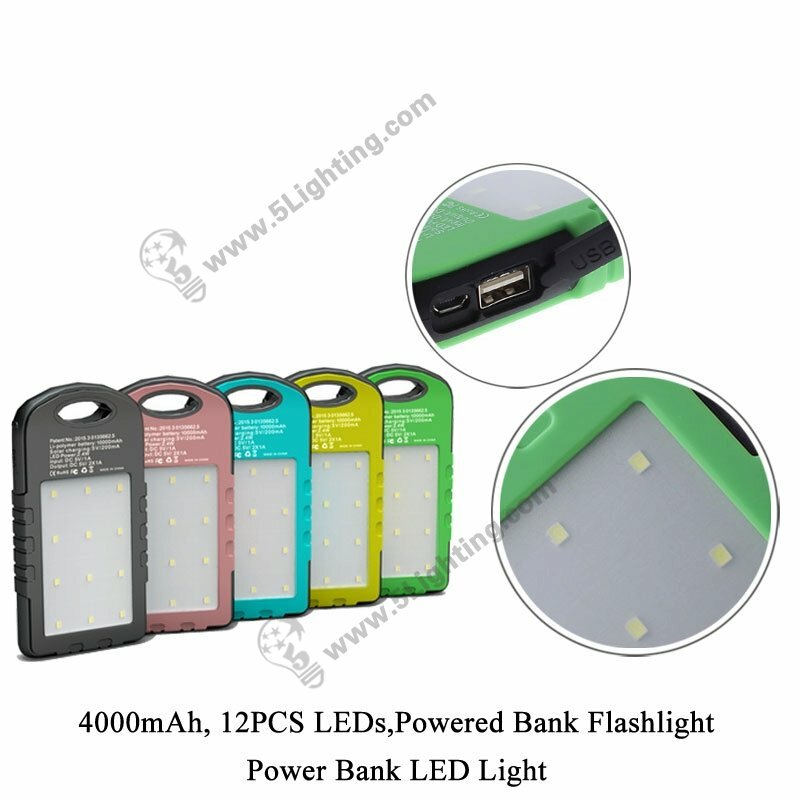 Power Bank LED Light, 4000mAh, 12PCS LED Chips, 5V/2A, Powered Bank Flashlight LED Camping Lights.